What's Ron Perlman's Next Gig? Being a fan of an actor, sometimes, it's tough to play keep up with what they're doing. Others aren't so tough to follow when they land a decent role. 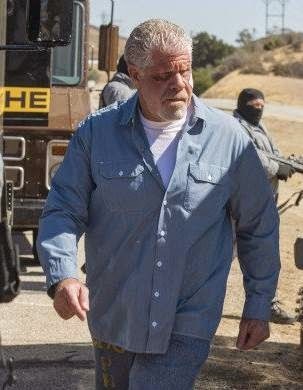 But with Ron Perlman, you have to wonder what role he'll land next after his gig with FX's Sons of Anarchy. In this case, Perlman has landed a role in a new series backed by Amazon, due out under their Prime Instant Video selection later, in Hand of God. Hand of God follows the Judge Pernell Harris (Perlman), who experiences a religious awakening as he starts to have visions and hearing voices through his ventilator-bound son. Other cast will include Dana Delany, Andre Royo, Alona Tal, Julian Morris, Elizabeth McLaughlin and Garret Dillahunt. For now, the job in this show is for a pilot episode, but if it does well enough, expect to see more of Perlman playing the powerful and questionable judge.